Terence Stamp, who plays Supreme Chancellor Finis Valorum in Star Wars: Episode I - The Phantom Menace, was born on this day in 1938. The British actor is known for his work in a number of iconic films such as Superman (1978), Superman II (1980), Wall Street (1987), The Real McCoy (1993) and The Haunted Mansion (2003). The 79-year-old said about his time on The Phantom Menace: "It wasn't the usual kind of one-dimensional part you often get when you're offered cameos, and I thought it would be really nice to work with George Lucas. "I have worked with a lot of great directors, and I thought it would be nice to be directed by him. "And I'd heard about the other people who were going to be playing in it, and I thought they were all first division. It just seemed like the right thing to do." Finis Valorum was a human male who served as a human male who served as the Chancellor of the Galactic Republic. Eight years after he had taken office, Queen Padme Amidala introduced a Vote of No Confidence against him in the Galactic Senate in The Phantom Menace. He was subsequently replaced by Palpatine of Naboo. Senator Orn Free Taa described Valorum in no uncertain terms: "Do you know why Valroum loves to attend the opera? Because it's the only place on Coruscant where an entire audience will applaud him." The character made a special appearance in the final arc of George Lucas' Star Wars: The Clone Wars TV series in the Yoda arc. 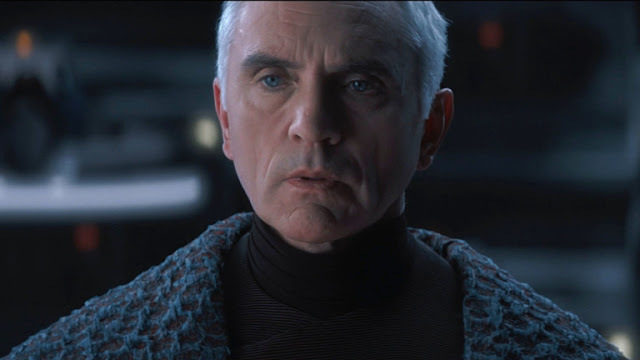 What is your favorite moment of Stamp's performance as Chancellor Valorum? Let us know your thoughts in the comments below.